The factory intake on your Kia Stinger is restrictive and unsightly. Give the appearance of your engine bay and performance specs a boost with Injen's SP Series short ram intake setup. Specifically designed for your Stinger 3.3L has shown increases in both horsepower and torque. 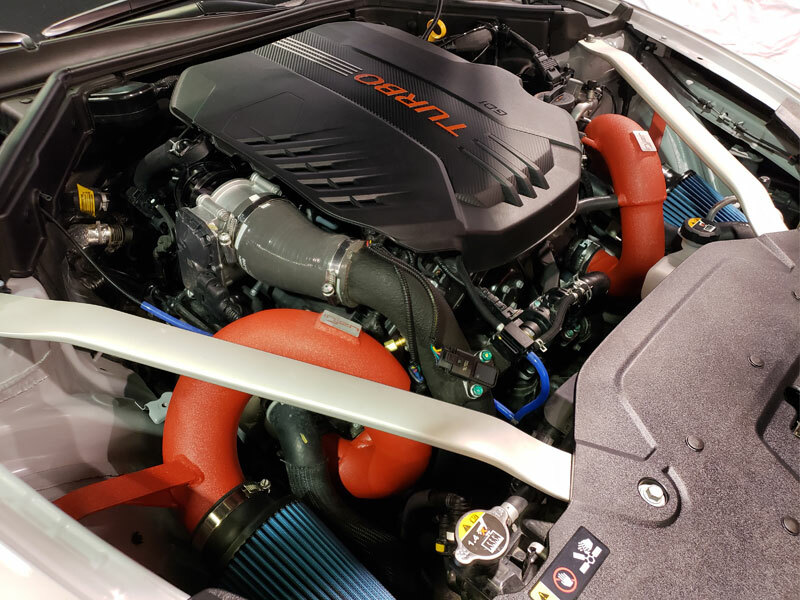 Not only give your engine bay an upgraded look, but also a little more giddy-up when you hit the gas pedal with this intake from Injen! This intake system from Injen is designed with their patented MR Technology for impressive power and torque gains all complimented with a safe air/fuel ratio. Thanks to the included webbed Nano-Fiber dry air filter and CNC mandrel bent intake tubing, you can count on cool air making it into your engine quicker and more efficiently than your OEM filter and intake tube. The intake tubing is constructed from 1/4” thick 6061 T6 aluminum and TIG welded for strength and a better appearance.